First script reading for KBS2 weekend drama series “Five Enough” took place on January 4, 2016 at Hotel Chereville Paradise in Yangpyeong County, Gyeonggi Province, South Korea. The first script reading featured main cast members Ahn Jae-Wook, So Yu-Jin, Shim Hyung-Tak & Shim Yi-Young. Premise for the drama series follows the romance of two single parents. Ep.1 air date for “Five Enough” is now set for February 20, 2016 in South Korea. Main trailer and poster added for upcoming film “Mitsu no Aware” starring Fumi Nikaido, Ren Osugi & Yoko Maki. The film is based on novel “Mitsu no Ahare” by Saisei Muro and directed by Gakuryu Ishii (“Isn’t Anyone Alive?“). Premise for the film centers around a reddish goldfish who is able to change into a girl (Fumi Nikaido), a writer (Ren Osugi) and the ghost (Yoko Maki) of a woman the writer once knew. “Mitsu no Aware” will be released April 1, 2016 in Japan. Actor Song Jong-Ho is cast in upcoming KBS2 weekday drama series “The Promise” also starring Lee Yu-Ri, Park Ha-Na and Seo Jung-Young. The drama series will air Monday-Friday at 7:50 PM from February 1, 2016 in South Korea. In the drama series, Song Jong-Ho plays Park Hwi-Kyung. Even though his character is the successor of a corporation and has good appearance, he doesn’t trust women due to his first love experience. After he meets Lee Na-Yeon (Lee Yu-Ri), he feels love again. Meanwhile, Lee Na-Yeon is actually her twin sister taking her identity to get revenge. 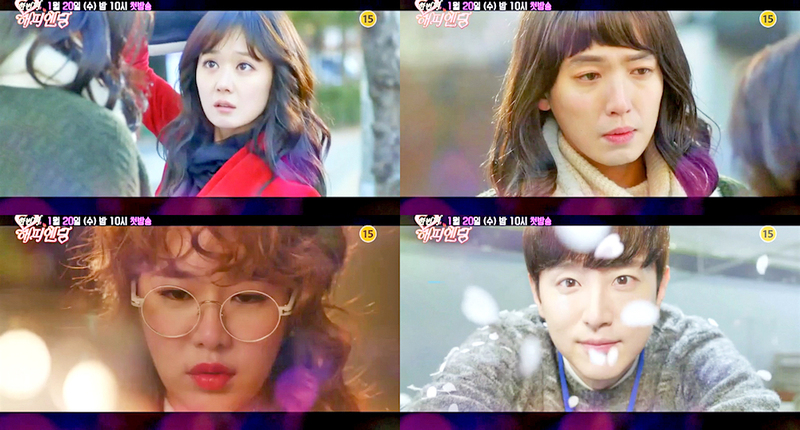 First teaser trailer for upcoming MBC drama series “One More Happy Ending” starring Jang Na-Ra, Jung Kyoung-Ho, Kwon Yool, You Da-In, Yoo In-Na & Seo In-Young. “One More Happy Ending” first airs January 20, 2016 in South Korea. Chorus poster and main trailer added for upcoming movie “A Melody To Remember” starring Siwan, Ko Ah-Sung & Lee Hee-Joon. Movie is set during the South Korean War and involves a soldier protecting a children’s choir. Lee Han (“Punch“) directs the film. “A Melody To Remember” will be released January 21, 2016 in South Korea. 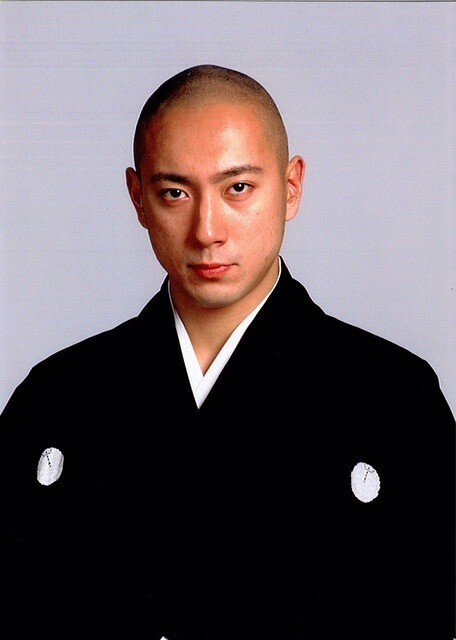 Actor Ebizo Ichikawa is cast in new TV Tokyo drama series “Ishikawa Goemon.” The drama series is based on the life of well known outlaw figure Ishikawa Goemon. Ebizo Ichikawa will play the title character. In the drama series, Ishikawa Goemon goes about stealing from the rich and redistributing the stolen items to the poor. Meanwhile, the all powerful Hideyoshi Toyotomi becomes obsessed with taking out Ishikawa Goemon. “Ishikawa Goemon” will air sometime this year in Japan. Teaser trailer added for movie “Like for Likes” starring Lee Mi-Yeon, Yoo Ah-In, Kim Ju-Hyeok, Choi Ji-Woo, Kang Ha-Neul & Esom. Movie is directed by Park Hyun-Jin (“Lovers of Six Years“). “Like for Likes” will be released sometime in February, 2016 in South Korea. 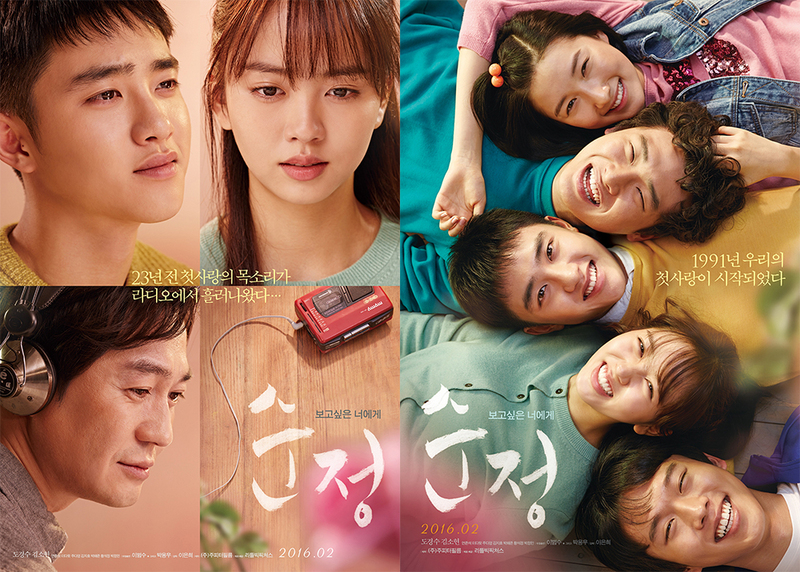 Here’s two teaser posters for upcoming film “Pure Love” (literal title) starring Do Kyung-Soo (EXO-K), Kim So-Hyun, David Lee, Joo Da-Young & Yeon Jun-Suk. In addition, release date for “Pure Love” is now set for February 24, 2016 in South Korea. 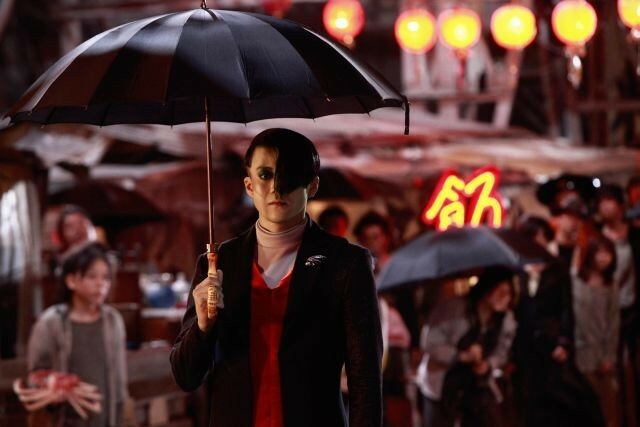 Here’s the first still image Shun Oguri in upcoming live-action film “Terra Formars” directed by Takashi Miike. The still image is of a scene with Ko Honda (Shun Oguri) meeting candidates to become crew members including Shokichi Komachi (Hideaki Ito). The backdrop of the streets in Japan have turned into a slum due to the disparity between the rich and poor. Meanwhile, the selected crew members will make a trip to Mars to take out giant mutated cockroaches that are able to walk. “Terra Formars” will be released April 29, 2016 in Japan. Actor Ko Soo is cast in upcoming MBC drama series “The Flower in Prison” which has already cast Jin Se-Yun in the lead female role. In addition, supporting cast members include Choi Tae-Joon, Kim Soo-Yeon, Jeon Kwang-Leol, Kim Mi-Sook & Jung Joon-Ho. “The Flower in Prison” is a period drama series set during Joseon Dynasty era and follows Ok-Nyeo (Jin Se-Yun), a woman was born in prison. She goes on to eventually help people in law. “The Flower in Prison” will first air sometime this April in South Korea (takes over the time slot held by “100 Days Wife“).